The Alabama legislature adjourned its regular session on Thursday, June 4 after 29 legislative days. They’re allowed to meet for 30 legislative days. So what did they do where K-12 education is concerned? Simply put, a lot. Of the 700 House bills introduced, 163 have been enacted, and another 45 are awaiting the Governor’s signature. Of the 509 Senate bills introduced, 109 have been enacted, and another 40 are awaiting the Governor’s signature. 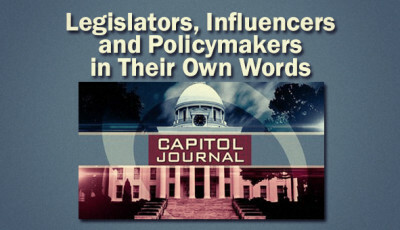 The Alabama School Connection tracked 137 bills during the session, though some of these were “companion” bills, meaning identical versions were introduced in the House and Senate. Where’d they originate? 76 started in the House, and 61 started in the Senate. Twenty-three of these bills became law. 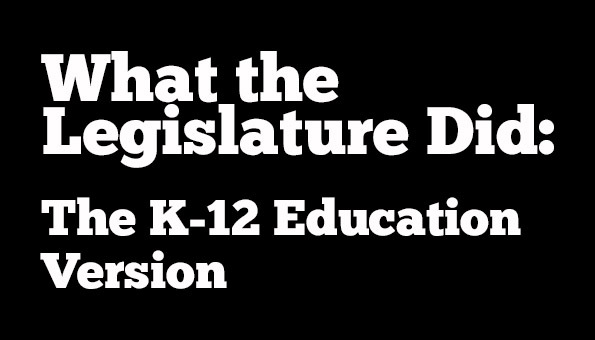 Twelve of those originated in the Senate (including the Education Trust Fund budget). Eleven originated in the House. A $6 billion Education Trust Fund budget, of which $3.8 billion was appropriated for the Foundation Program, and another $196.6 million appropriated for the Alabama State Department of Education. For those keeping track, the split was 69.4% for K-12, 25.5% for higher education and 5.1% for “other”. 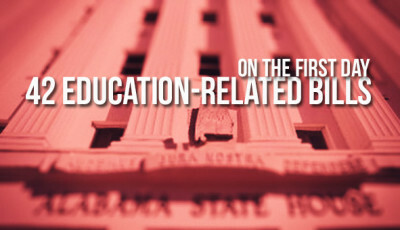 If you look at only the amount appropriated for K-12 and higher education, the split was 73.1% and 26.9%, respectively. Here’s the spreadsheet (actually a PDF) from the Legislative Fiscal Office with all of the appropriations. The good news is that for the first time since FY08, there is money in the budget for classroom instructional support, which goes directly into Alabama’s classrooms. Here are those details. Alabama became the 43rd state to allow public charter schools. The details are few, other than there is an initial cap of ten startup charters per year for the first five years. There is no limit on the number of conversion charters. Here’s that law. The State Board of Education is set to approve initial regulations for the authorization and operation of public charter schools at Thursday’s regular board meeting. No public charter schools are expected to begin operation until the 2016-2017 school year. The Alabama Accountability Act was modified, and the tax credit scholarship portion was radically transformed. Lots more regulations for the scholarship granting organizations (SGOs) and a number of additional reports were added. Here’s more. And here’s that law. The two-year college system was removed from the State Board of Education’s governance and passed to a board appointed by the Governor. That was kind of a big deal. 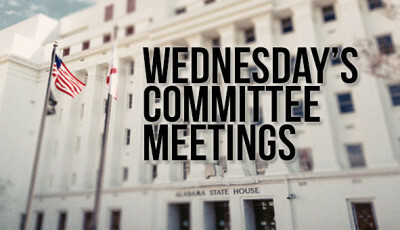 The State Board of Education has not said much about it since it happened, but they have re-worked their meeting schedule to hold their meeting and work session on the same day. Here’s that law. Every board of education must create policy governing the ability for students in grades 9 through 12 to earn a high school diploma through a virtual school beginning with the 2016-2017 school year. Here’s more on virtual schools. Here’s that law. Erin’s Law was passed on the final day of the session. It established The Governor’s Task Force on Prevention of Sexual Abuse of Children which will determine how to educate children in pre-kindergarten through twelfth grade on child sexual abuse prevention. Here’s that law. 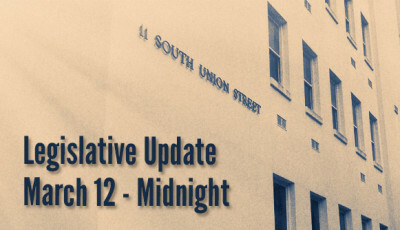 The Flexible School Calendar Act also made it through in the final days of the session. It allows local boards of education the flexibility to set their own school calendars with no mandatory start or end date. The calendar must include 180 instructional days or the hourly equivalent, calculated to be 1080 hours. Teachers’ salaries must be paid according to the state minimum salary schedule regardless of the actual number of days in the calendar. Here’s that law. The amount that a retiree participating in the Teachers Retirement System (TRS) can earn working for an employer participating in the TRS was raised to $30,000. Annual increases based on the Consumer Price Index will continue as before. The only stipulation is that the retiree cannot be employed in a full-time capacity. Here’s that law. The Alabama Student Religious Liberties Act was passed early in the session. It protects a student’s right to express a religious viewpoint in the same way that a secular viewpoint can be expressed. It specifically authorizes “see you at the pole” activities where students gather to pray before school. It also requires local boards of education to adopt a policy governing voluntary religious expression in its schools. Here is that law. The remaining four are related to K-12 education, and (arguably) won’t necessarily directly affect what happens in Alabama’s classrooms next year. SB160 – Requiring state agencies who receive federal funding to report amounts to Joint Committee prior to October 31 each year, including requirement for ALSDE to report amounts for all public schools. Here’s the full list of all bills the ASC tracked during the 2015 Regular Session.